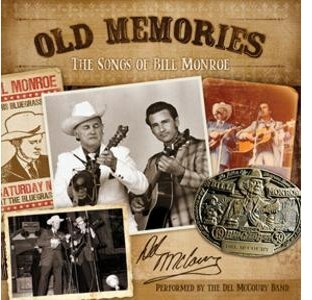 The Del McCoury Band's bluegrass music tribute to Bill Monroe, Old Memories: The Songs of Bill Monroe, was released on CD January 31, 2012 just in time for the Grammy Awards. The album was previously released digitally and on vinyl in September 2011 and received a Grammy nomination for "Best Bluegrass Album" in December. Rural Rhythm Records is proud to announce the new album release, Bill Monroe 100th Celebration: Live at Bean Blossom recorded this past June at the Bill Monroe Music Park in Bean Blossom, Indiana during the 45th Annual Bill Monroe Memorial Bean Blossom Bluegrass Festival. Last Sunday, the Kentucky Music Hall of Fame & Museum in Renfro Valley, KY hosted a special CD Release celebration for this exciting new commemorative album. 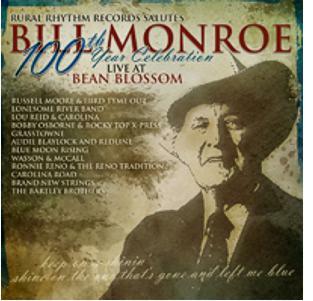 Rural Rhythm Records is proud to announce the November 22, 2011 album release of Live At Bean Blossom, in celebration of the 100th anniversary of the birth of the Father of Bluegrass, Bill Monroe. 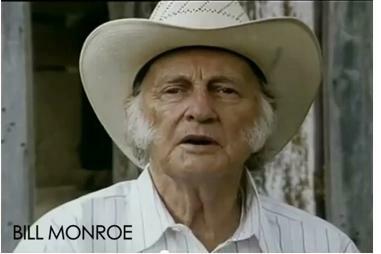 The album will no doubt be high on the wish list of not only Monroe fans, but the thousands of visitors that attend the numerous festivals held at the Bill Monroe Music Park in Bean Blossom, Indiana every year. September was the centennial of the Father of Bluegrass Music who was born 100 years ago this year. Many tribute albums were making the round and there was some great music to be shared. But, one album, stands alone. A not so ordinary tribute by an artist who lives on the edge of bluegrass -- the master mandolinist David "Dawg" Grisman. 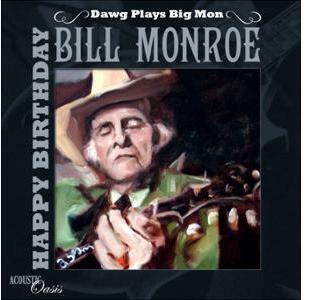 Dawg Plays Bog Mon - Happy Birthday Bill Monroe has the soul of bluegrass along with the high-lonesome sound and it is performed by some of the best in bluegrass music. This album probably should get 11 stars out of 10! On a Sunday morning in 1961, Ralph Rinzler invited 16-year old David Grisman to hear Bill Monroe and his Blue Grass Boys play at New River Ranch in Rising Sun, Maryland. That experience changed David's life and profoundly affected the musical journey he would take for the next half-century. Grammy Bluegrass, folk and acoustic music artist Laurie Lewis has a new album due to hit the streets October 18th. This latest project is a tribute to the Father of Bluegrass Music, Bill Monroe, who would have been 100 years old last month. Many tribute albums and songs have been release but, Laurie, a past International Bluegrass Music Association (IBMA) Female Artist of the Year recipient, adds her own twist to her new release. IBMA's "World of Bluegrass" week. 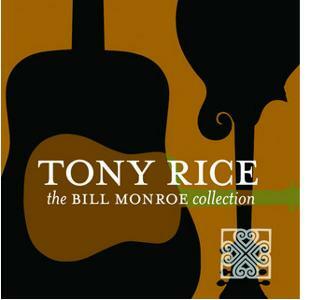 Patuxent Music has releaed another Bill Monroe Centennial tribute album, A Tribute to Bill Monroe. On the 4th of July in 1961, Bill Monroe commented to Frank saying, "Well, you can pick as good as me-- or nearly as good-- so now you've got to go out and get your own sound." And, with his hero's blessing, Frank Wakefield set out to do just that. Frank Wakefield performs on the mandolin and vocals, Audie Blaylock contributes vocals, Michael Cleveland on fiddle, Mark Delaney handles the banjo, Tom Ewing plays guitar and adds vocals, Marshall Wilborn played bass with Tom Mindte & Taylor Baker. Just in time for Bill Monroe's birthday, the new single release, "A Light in My Window, Again" by Carolina Road, is now out to radio via AirplayDirect.com. The song was written by Tom T and Dixie Hall and was inspired by Gov. Paul E. Patton's speech at the dedication of the Bill Monroe home place. The tune appears on the band's upcoming album, Back to my Roots releasing October 11, 2011. Carolina Road, with eight albums to their credit, has certainly returned to their traditional style of music created over a decade ago with this new project. Frankfort, KY -- The new exhibition "The Makings of a Master: Kentucky Folk Art Apprenticeships" will open Thursday, Sept. 15, 2011, in the Keeneland Changing Exhibits Gallery at the Thomas D. Clark Center for Kentucky History in downtown Frankfort. The opening day of the exhibition will feature a concert in celebration of Bill Monroe's 100th birthday. "Bluegrass Masters: A Celebration of the Bill Monroe Centennial," featuring master bluegrass musician Bobby Osborne and the Rocky Top X-Press, will begin at 7 p.m. at the Thomas D. Clark Center for Kentucky History at 100 W. Broadway in Frankfort. Two more concerts are scheduled: "Kentucky Women in Old-Time Music," featuring the Reel World String Band and Carla Gover, at 7 p.m. on Thursday, Oct. 20; and "East Meets West: Fiddling and Thumbpicking Guitar in Kentucky," featuring Eddie Pennington, Steve Rector, Roger Cooper, John Harrod and Alonzo Pennington, at 7 p.m. on Thursday, Nov. 17. Nashville, TN -- The leader of the Niall Toner Band from Ireland is still celebrating his music reaching the number one download spot on the bluegrass and folk charts for AirPlay Direct, an extraordinary achievement for a songwriter based in Ireland. As a result, Niall Toner Band has been enjoying an ever-increasing amount of air play on American Radio. Niall's songs about Bill Monroe, Bill Monroe's Mandolin and The Master's Resting Place, are proving most popular with Radio DJs and listeners in this year of Monroe's Centenary.